Just received a note from Gary Wells informing me that Dennis Keener died yesterday. Dennis was a classmate in high school, one of the kids I used to hang out with. He was a member of The Irregulars (will have to write about them sometime) and a big fan of Bob Dylan before anyone else had ever heard of him. He was part of the group that made the infamous Carol Channing phone calls in the spring of '66, and later that year he joined the Lebanon Community Theatre with mostly the same group of us. After graduating from high school in 1967, Dennis joined the Air Force and had the pleasure of serving on the same base as Gary. Afterwards he became a forensic photographer for the FBI. About four years ago he and I got back in touch (thanks to Gary) and he came for a short visit; we reminisced, caught up on the intervening 40 years, went for lunch at the Valley Green Inn, and reminisced some more. I knew he had had a bout with cancer shortly after that, but I thought it was under control. In the end, he was no match for Mantel cell lymphoma. 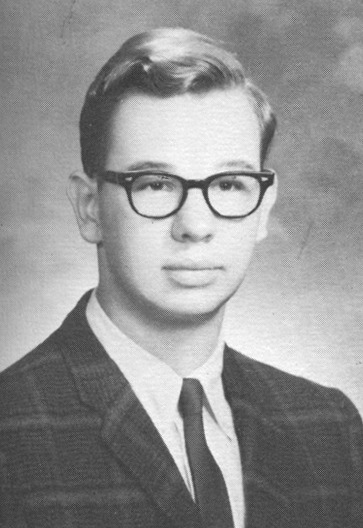 He was one of the good guys in Elco's class of 1967, and I miss him already.